Hi ya! I'm so excited to share a new stamp and die release from CAS-ual Fridays Stamps that is available right now! Whoo! Hoo! 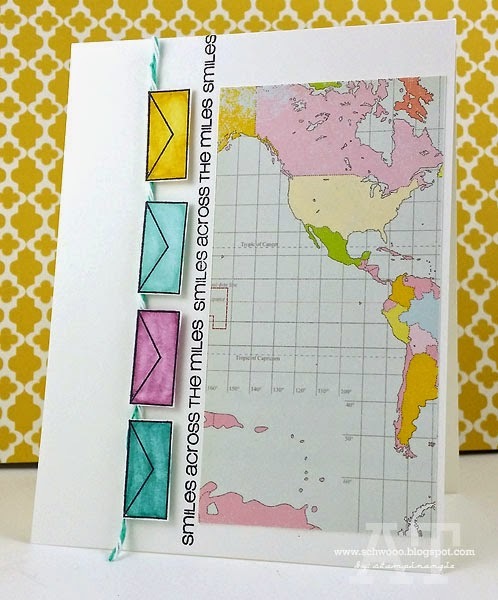 Meet the new Happy Mail stamp set and Mailbox Fri-Dies! There are so many possibilities with this fun new set! 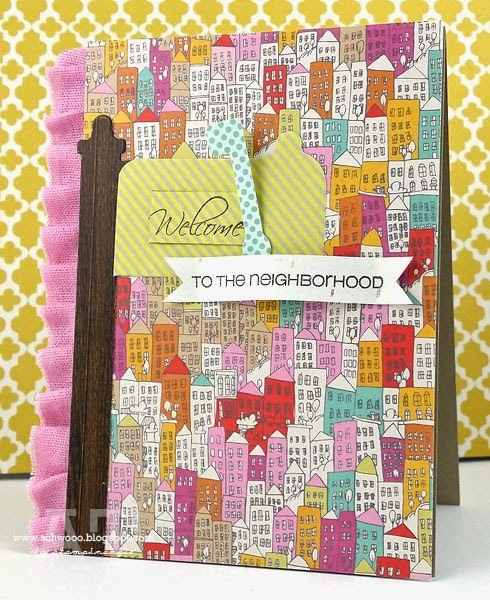 For my first card, above, I paired the Mailbox Fri-Die with some cityscape patterned paper. They were meant to go together, right?! For my card below, I paired the Happy Mail stamp set with some appropriate map paper for sending "smiles across the miles". Isn't that a great sentiment?! It'd be perfect to stamp on a matching envelope too! 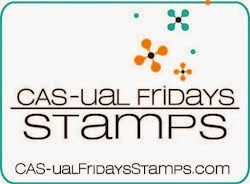 Please head over to the CAS-ual Fridays Stamps blog to check out a TON of brilliant inspiration from the rest of the design team. The girls created some beautiful "scenic" cards that blew me away! I'll be back tomorrow with another new release you won't want to miss! Cardstock: SU Crumb Cake, Studio Calico patterned paper. Accessories: CAS-ual Fridays Stamps Mailbox Fri-Die, Big Shot, Recollections pink ruffled ribbon. Cardstock: SU Whisper White, Studio Calico patterned paper. Ink: Memento Black, SU Blendabilities. Accessories: Baker's Twine, foam dimensionals.